Northern Thailand faces two major problems when it comes to water. In the mountains there is often no access to water which makes life difficult for the people, especially during the dry season. Villagers spend most of their time carrying water and therefore are unable to work or farm crops. Subsequently, they are not able to provide for their livelihood. Another problem is the lack of access to safe, clean drinking water. Many people, especially children, get sick from contaminated water and have to spend the little money they have on medication. To help prevent this, water can be boiled but this process requires a lot of firewood. As a result, women and children spend all day gathering the wood and children are therefore unable to attend school. The water crisis is very complex and has a massive impact on the lives of the villagers in those rural areas. 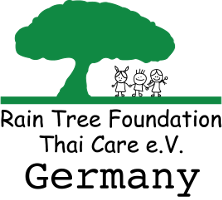 The Rain Tree Foundation aims to provide the village communities with sustainable access to a sufficient amount of water for their daily needs and to make it possible to conduct a successful cultivation of crops. 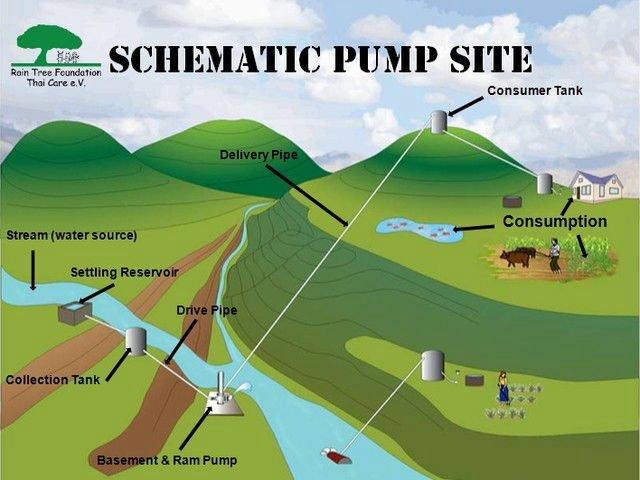 We use hydraulic ram pumps from our competent partner Meribah Ram Pump for our projects because ram pumps have proven their reliability for more than 200 years. They are extremely simple to use and maintain with just two moving parts and they don’t need an external source of fossil power. Whenever a water source is available in an area that is not completely flat, there is always a possibility to install a hydraulic ram pump. Another key focus of the Rain Tree Foundation is to provide the villagers in rural areas with access to safe, clean drinking water. We use the technology of a slow sand filter, also called a BioSand Filter, which is promoted all over the world from CAWST, an organization based in Canada. The BioSand Filter is easily maintained and doesn’t need an outside source of energy, there are also no extra costs or parts to replace during its +20 year life expectancy. 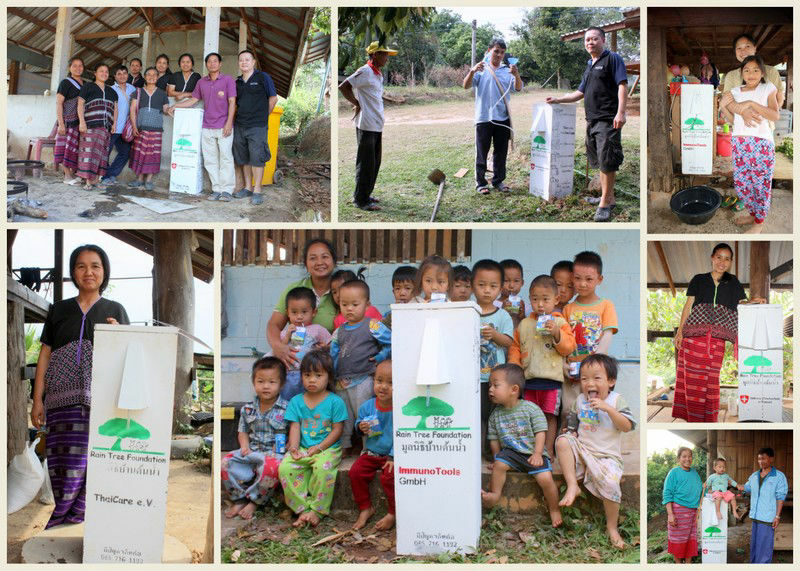 We have already installed more than 2,000 filters (by 11/2018) to families and schools throughout Thailand.Find out more about the BioSand Filter as well as the Meribah Ram Pump and how to sponsor one contact us for more details.